Which 爱情 quote fits them most? 粉丝选择: When 爱情 is not madness, it is not love. Who among 你 have a copy of this picture? He makes his son feel secure and loved- can 你 picture baby Chuck shouting “Daddy!” and happily running into Bart’s arms? Pfft. Never. 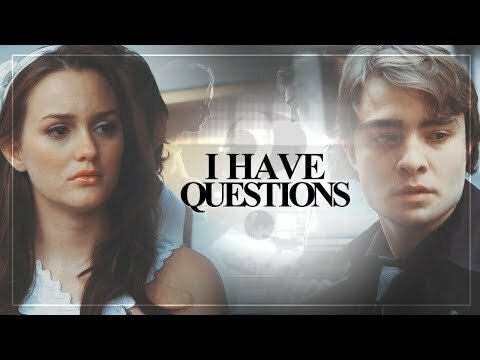 CosmicLoveCB has many, many feels after watching the premiere of the final season of GG. First, it’s been a LONG TIME since we were interested in the story as a whole, rather than just wringing our hands and hoping against hope that Chuck wouldn’t end up killing himself 由 the end of each episode. So there’s that. "Come Flash All 你 Ladies" 由 The Filthy Youth. "Orange" 由 The Filthy Youth. "Someone Great" 由 LCD Soundsystem.